According to the Barrett-Jackson Auction results, Pontiac Trans Am Super Duties are exploding in value. Find average prices at the auction below. 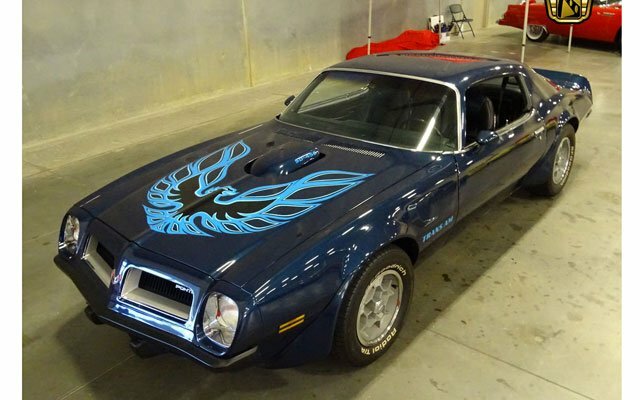 This one is for sale in the Cars-On-Line.com Trans Am Section now. Barrett-Jackson Auction results are being analyzed by every auto news agency this week. The 2018 Barrett-Jackson Auction in Scottsdale, Arizona ended on Sunday. This week we heard from so many buyers and sellers who had their special viewpoint on whether the sale was a success or not. In an effort to cut through the maze of anecdotal stories we decided to do a numbers based analysis of the 2018 Barrett-Jackson Auction. Our analysis (shown below) tells us that prices were up by over 17 percent this year as compared to average values in 2017. Every year in January we watch the Barrett-Jackson Auction results as a barometer for what collector car values will be for the new annum. In recent years, average prices have trended downward slightly. Collectors would love to see a year when collector car values go up markedly. So maybe there is light at the end of the tunnel for collector car values this year. Yes, the results of this year’s 2018 Barrett-Jackson Auction were pretty amazing really. Will prices throughout the year be up by that much? It has happened in the past. Like migratory birds, car collectors go south to Arizona in January to take the temperature of the collector car community. We analyzed the results of last weekend’s Barrett-Jackson Auction to determine average values for the sample list of cars we follow. The “2008” column below shows the average value of these cars in 2008 before the recession. The “2017” column shows average values at the end of last year. In the “Barrett-Jackson” column we have identified the average values of cars sold at the auction last weekend. The numbers don’t lie. See more articles published by Cars-On-Line on collector car market price trends. Follow this link. Choose the Cars On Line 2017 CAR of the YEAR!